How about some technique classes? How about every week? I know sounds good to me too, This week we will start with the structure of basic stockinette stitch, how to read it and how to work duplicate stitch. Knitting is a structure of loops made in rows, it is a reliable structure where every stitch pattern has a set combination of loops. Because the yarn always loops over the yarn from a previous row in a set pattern it is possible to learn to read your knitting as if different stitches are the letters of the alphabet and different combinations are words. The main difference between reading knitting and reading words is that reading English is done from left to right and reading knitting is done from right to left. To begin to learn how to identify stitches and read the RS of Stockinette Stitch observe the diagram below. The upper series of loops come from back to front through the lower loop, the red line is the active line of stitches that would be placed on the knitting needle. The purple line is the yarn used to create stitches 3 rows below the active red yarn, you can see how this Purple yarn comes through the loop below it from back to front and then loops beind the Green row worked after it as those stitches come up from back to front through the Purple row. As you can see the stitches in St st on the RS look like little V’s. This means that when visually counting stitches on the RS of a stockinette stitch fabric you can counts a V for each stitch if counting horizontally and a V for each row if counting vertically. 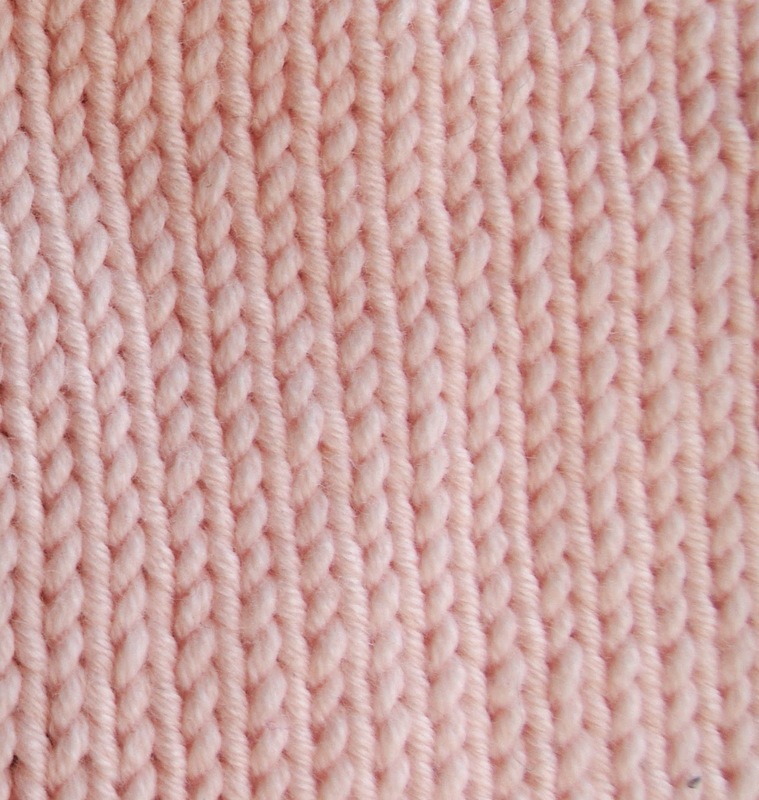 Duplicate stitch is a method of applying extra yarn like embroidery to the RS of a piece of knitting. For this exercise cut a piece of contrasting yarn 15” long and thread onto a tapestry needle. For a row of duplicate stitch : beginning at far right side of knitting bring needle up through a knit stitch V, next bring the needle behind the two strands of the V above, back down through the V you came up through and up through the next V to the left. This route can be seen by following the coloured stitches on the digram 1.2. For a single stitch of duplicate stitch: work up through the lower V, around the upper V and back into the lower V. Then the yarn can come up through any new V within a reasonable distance. Like this post? Want to see more Technique Tuesday posts? Check out our Technique Tuesday Pinterest Board for all posts in this series.